Environmental Educator Dan Burgess visited the Lakritz Farm this week and took the time to explain how and why he grows redwood trees and other species in an effort to rebuild the old-growth forests of Northern California. Redwood trees are the backbone of the northern California forests. These mammoth trees provide much of the beauty and the environmental resources for our forests. Redwoods provide vital support for owl, salmon, and many other populations of fauna in the forest. Many of these forests have been logged clear of these ancient trees. The Redwood Parks Association, Save The Redwoods League, the Smith River Alliance, and the Bureau of Land Management (along with a long list of other volunteer and governmental organizations) are all doing their best to protect these important members of our forest ecosystems. As part of our mission to educate others about farming, sustainability, and ecology we are growing redwood trees here at the Lakritz Family Farm to raise awareness about this important issue. 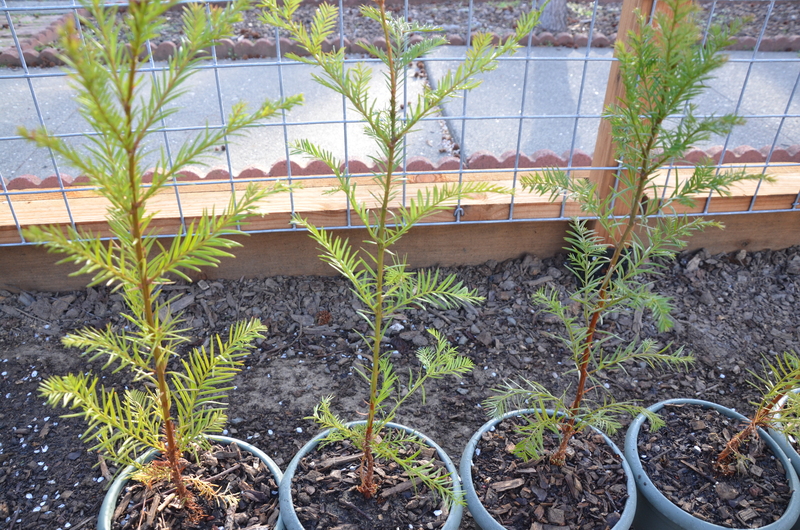 Visit us again soon for more information about how you can help or perhaps even plant one of these beautiful redwood saplings on your property.